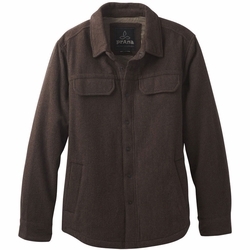 prAna Wooley Jacket. The Wooley Jacket features a recycled wool blend shell with a mini check plaid lining and 40g highloft insulation cut for a standard fit. Additional features include a media port and welt pockets with hand warmer tricot lining.